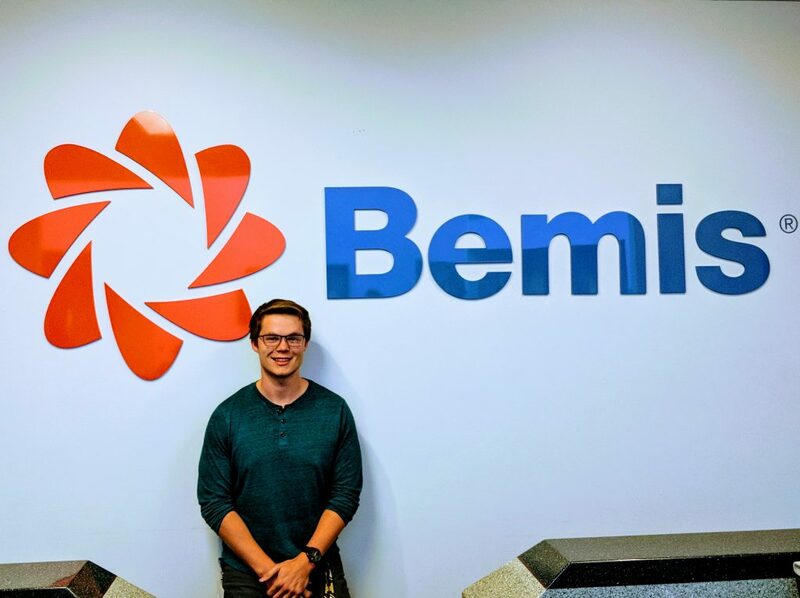 Michigan Tech School of Business and Economics double major Tom Strome (Management Information Systems and Marketing) is interning with Bemis Company again this summer. Bemis is a flexible packaging company based in Wisconsin, with more than 60 locations in 12 countries. Tom supports their Enterprise Project Management Office, leads a project, and is learning more about project management processes. His relationship with the company began at Career Fair. This is Tom’s second internship with Bemis. “This summer I’m interning at Bemis Company in Oshkosh, Wisconsin. I worked for Bemis last summer in IT Applications. In addition to learning about project management, I support the Enterprise Project Management Office. I have one large project that I’m project manager on, and then multiple other projects ranging from plant-level to marketing. I landed the internship by talking to Bemis during Career Fair my second year. I went up to their booth because I knew their recruiter; we had class together the previous semester. After chatting, I asked if they were hiring for either of my two majors–marketing and MIS. They were. I got a call from Bemis later that night to set up an interview for the following day. I interviewed, but didn’t get the internship. The next fall–my third year–I went and talked with them again, and got another interview, but this time I landed the job with their IT Applications team. Summer 2017, I worked for Bemis and had a fantastic experience as a business analyst (someone on the business side of IT, who problem solves and works with people). Bemis asked me to come back for summer 2018 in a different capacity. I was interested in project management and they let me do just that. This summer has been great. Even though I’ve worked with the company before, I’m on a different team working on completely different projects. It is a brand-new experience altogether.